The Madeleine Strings brand continues the long tradition of Rickenbacker acoustic instruments. 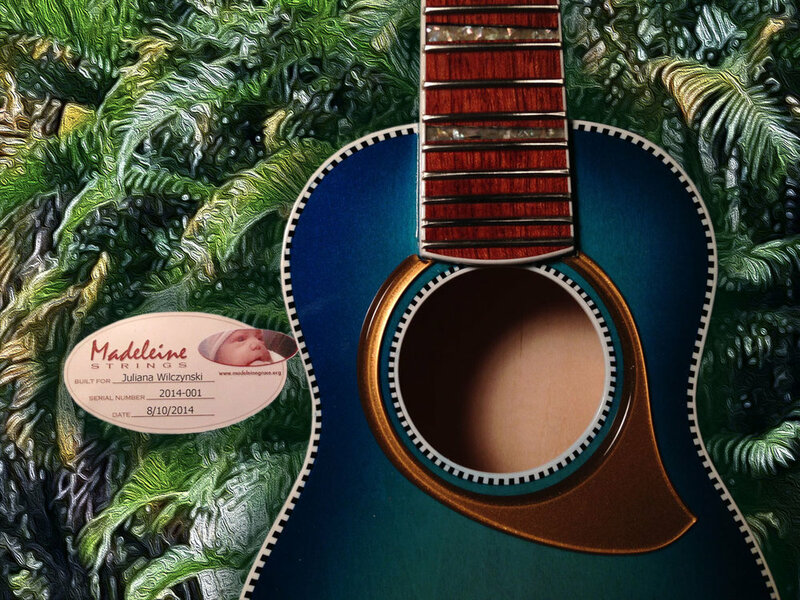 The construction of Madeleine Strings instruments is identical to the acoustic guitars that Studio California built under Rickenbacker's license from mid-2006 until early 2013. Madeleine was my first granddaughter, who was born in 2011 with HLHS, and lived a short two months. For each Madeleine Strings instrument built, $250.00 is donated to an HLHS research program. That's Maddy's photo on each sound hole label.